Image: Flickr/matthileo. Some rights reserved. 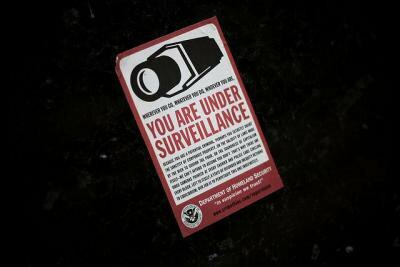 We are witnessing a violent and public collision between the UK and other states racing to make maximum use of new surveillance technologies and the actions of whistle-blowers and journalists to reveal what those governments are keeping secret. That conflict is sharpened by two extra elements which makes the matter urgent for journalism and the public’s right to know: those are the determined efforts of governments to conceal the fact that their monitoring extends to the electronic communications of whole populations, and the evidence that journalists and those who assist them are increasingly exposed to the risk of criminal prosecution for their work. The result is a cauldron of discord about what is and is not justified and lawful in a democratic society today. Many people may be minded to go along with ministers who say that the government needs a fairly free rein to act as it sees fit to protect the public because the ultimate human right is the right not to be blown up by a terrorist: in other words, accepting state secrecy in the name of security but at the cost of an end to privacy as we have known it. Yet it is a defining feature of democratic governments that they should operate within the framework of laws – national and international – which they have made or signed up to by treaty, and which they constantly urge on others. Alan Rusbridger, the editor of The Guardian, has articulated the core point. He has warned that a world of ‘total surveillance’ would kill off the principle of the confidentiality of journalists’ sources, a key foundation of free and inquiring journalism. The UK government, which sees itself as a champion of press freedom, now finds itself in the dock internationally. The World Association of Newspapers (WAN-IFRA), the body which represents the global newspaper industry, has accused it of conflating terrorism and the legitimate work of journalists. If that became a reality, the Association wrote in a letter to David Cameron, the UK would be putting itself on the same level as Turkey and Ethiopia as countries where governments misuse anti-terror legislation to silence critics. Britain also faces diplomatic repercussions among its European partners over revelations about spying on friends, and there have been demands for assurances that such practices will end. The UK has been compared unfavourably in terms of protections for press freedom with the US, where the first amendment formally prevents ‘prior restraint’ of publication. Who is to judge? The United Nations’ foremost group of legal advisers, the Human Rights Committee, has considered the issues of surveillance, security and privacy as part of an authoritative new interpretation of states’ obligations in the field of freedom of expression under the International Covenant on Civil and Political Rights – the paramount international human rights treaty of them all. That is, to say the least, a far cry from the secrecy that surrounded the US and UK surveillance programmes before Edward Snowden revealed them to The Guardian. The Council of Europe, Europe’s inter-governmental watchdog for democracy and human rights, is focused on these matters too. Last week its Secretary-General, Thorbjorn Jagland, wrote to the British Home Secretary, Theresa May, to say that the detention of David Miranda and the destruction of computer hard drives at The Guardian may have a “chilling effect on journalists’ freedom of expression as guaranteed by Article 10 of the European Convention on Human Rights”. He asked for information as to the compatibility of those actions with the UK’s obligations under the Convention. Already in June of this year the Council of Europe’s top political body, the Committee of Ministers, drew the attention of members states to human rights concerns associated with digital tracking and surveillance that may be carried out without the necessary safeguards. The Committee warned then that such behaviour can undermine the necessary protection of journalists’ sources and the confidentiality rights associated with certain other professions (Declaration of the Committee of Ministers on Risks to Fundamental Rights stemming from Digital Tracking and other Surveillance Technologies). Such Council of Europe texts are not legally binding, but rulings from the European Court of Human Rights, which takes account of them, certainly are. Likewise, advice from the UN Human Rights Committee is not directly judiciable, but states will go a long way to avoid being named and shamed through the various means available to the UN and its Special Procedures Branch, including the Special Rapporteurs who report to the Human Rights Council. What of the counter-arguments? Theresa May has asserted that Mr Miranda’s treatment was lawful and necessary. She said the special powers of Schedule 7 of the Terrorism Act 2000 provide a legal framework for the detention and confiscation of property from someone if the police believe them to be in possession of information that could endanger national security or be of help to terrorists. That is already being contested in a UK court by Mr Miranda’s lawyers and publicly by, among others, Lord Falkener, who helped to introduce the legislation. The civil rights pressure group Liberty has lodged a case at the European Court of Human Rights to challenge the special powers contained in Schedule 7, which allow officials to hold anybody for 9 hours at an airport even without any suspicion of criminality. As for the UK government-appointed independent reviewer of terrorism legislation, David Anderson, he swiftly announced his own review to determine whether the powers had been used ‘lawfully, appropriately and humanely’ or not. And Lord Ken Macdonald, a former Director of Public Prosecutions, expressed alarm at the implications of the Home Secretary’s words after Mrs May suggested that opponents of Mr Miranda’s detention needed to "think about what they are condoning". An ‘extremely ugly and unhelpful’ comment, Lord Macdonald called it. Meanwhile police have said they are launching a criminal investigation after examining some of the material taken from David Miranda, prompting fresh outrage from The Guardian and many voices abroad. The Conservative chairman of the House of Commons Intelligence and Security Committee, Sir Malcolm Rifkind, has claimed that parliamentary oversight can be effective and is being strengthened. He has made two particular points in this debate. The first is that MI5, MI6 and GCHQ have done an effective job with the tools at their disposal since the July 2005 attacks in London to forestall multiple terrorist plots (the murder of Drummer Lee Rigby in May this year being a sole exception), but that newspaper journalists, including those on The Guardian, could not know which parts of the hoard of information they received from Edward Snowden might, if published, lead to a threat to national security, or assist a would-be terrorist. That argument is open to several objections, among them that without a degree of informed public consent such a sweeping degree of state secrecy can lead to serious abuses. Sir Malcolm also insists that the UK authorities – unlike various authoritarian regimes abroad –faithfully observe their democratic obligation not to examine the actual contents of any of the monitored e-mails or other communications without obtaining individual orders from the Home Secretary or Foreign Secretary, and applying other safeguards. That argument has invited the riposte that claims of that kind can no longer be taken on trust by the general public in view of the past record of Iraq war dossiers, allegations of official cover-ups about secret renditions and torture, and legislation to create secret courts. The central fact remains that British journalists face the threat of prosecution on terrorism-related charges merely for possessing information that may be deemed helpful to terrorists. Alan Rusbridger has pointedly asked whether journalists and others who uphold liberal values have fully understood how much is at stake in this debate about the ever-encroaching surveillance powers of governments, as well as Internet giants and other players. The issues must be resolved through proper observance, reform and effective oversight of national and international laws, arrived at by open debate, and the opportunities exist for that. On November 7-8 in Belgrade a ministerial conference of Council of Europe ministers responsible for media matters will debate measures which could strengthen the protections for journalists and other media actors against unlawful surveillance and other forms of harassment. In November 2012 the United Nations embarked on an ambitious Plan of Action on the Safety of Journalists and the Issue of Impunity. Its purpose is to ensure better protections for the investigative work of journalists everywhere against violence and abuses of state power, including unlawful surveillance and online harassment. Those who care should stand up and speak out before it is too late.